Celebrating the 25th anniversary of the Chicago Blues Archives, pianist Ellis Marsalis discusses his life and career and peforms samples of his music at the Harold Washington Library. Free at 12:15pm in the Cindy Pritzker Auditorium. 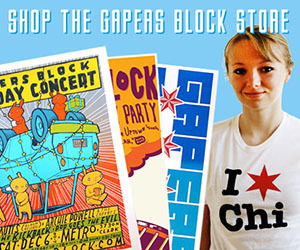 Call 312-747-4300 for more information. The Empty Bottle is pleased to announce a special ballroom performance with Duluth, Minnesota-based group Low. Their latest album, from Sub Pop, is titled The Great Destroyer. Underground musician Warren Defever will perform with his long-running experimental outfit His Name is Alive and acoustic act Death Vessel will open, making their Chicago debut. Logan Square Auditorium is located at 2539 N. Kedzie, in (you guessed it) Logan Square. This All Ages show starts at 8:30pm and tickets are $15. True Historians perform 2 hours of very very old country stuff (pre 1970's) to help people unwind at the end of a tough work week. True Historians are a full 6 piece band, featuring the vocals of two talented young transplants from Texas trying to make it through their first Chicago winter. The band was featured this summer in Hankfest downtown and is playing the honkytonks (or lounges in this case) of Chicago. 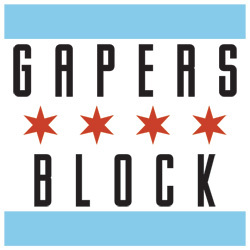 Gapers Block's monthly GB Get-Together is tonight at the Gingerman, 3740 N. Clark St., from 9pm to around midnight. Join us for drinks, hobnobbing and maybe some pool. The Bottle Rockets are headlining a benefit show for Gary Schepers, a long-time local soundman recently diagnosed with type 2 diabetes, tonight at Schuba�s, 3159 N Southport. Doors are at 9; Tijuana Hercules and Great Crusades open. For more information about this show, see Schuba�s website; see the Bloodshot Records website for more information about the series of benefit concerts going on for Schepers.